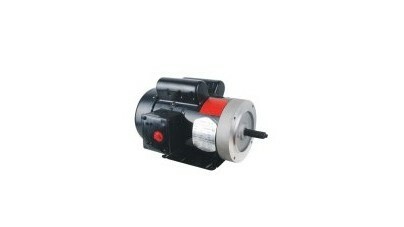 The amount of power able to be produced by a small electric motor will vary according to its size which is variable. The small electric motor spins in different directions based on how the battery leads are hooked up. These motors are typically single phase or three phase depending on required output and intended application. Considerations to be made when determining FHP motor use include: whether a motor will be required for continuous or intermittent duty, voltage ratings, desired weight of motor, fan-cooling, adjustable speeds etc. Like all electric motors, small electric motors convert electrical energy into mechanical energy. They change electric energy into rotational movement by using the natural behavior of magnetism, or the attracting and repelling forces of a magnet strong enough to cause rotation. These small motors are typically low cost and easy maintenance options for motor needs. Small electric motors are used in a wide variety of applications in almost every industry because they are cleaner and less expensive to run than fuel-powered motors. They are still able to run at high speeds and effectively produce mechanical power; however it will be in much smaller amounts compared to larger electric motors. Small motors or miniature motors are typically used in welding, small centrifuge devices, pitching machines, wheel chairs, door openers, pumps, and frozen yogurt machines. Another common use of small electric motors is in the automobile accessory industry in which FHP motors are used to power devices such as electric windows, windscreen wipers, mirrors and locking systems. In some cases, motors can still be classified as fractional horsepower motors even if the horsepower exceeds one unit. This exception is based on the frame size standards set by NEMA, the National Electrical Manufacturers Association to determine if a motor qualifies as a NEMA motor or not. If the frame size of the motor is a 42, 48, or 56, the one horsepower guideline does not apply. Due to their size, it may at times be easier to simply replace a motor than to try and repair it, but as they are simple contraptions, small electric motors are reliable pieces of equipment when used for their intended purposes. Small Electric Motors A small electric motor is a fractional horsepower motor that has less than one horsepower, or 745.7 watts, of power. As with other simple electric motors, small electric motors consist of several basic parts: an axle, a metal enclosure, a field magnet, a nylon end cap, a rotor, a coil, and a power supply of some sort.